The Palomar Group is pleased to offer a Single Tenant Academy Sports in Southeast Georgia. 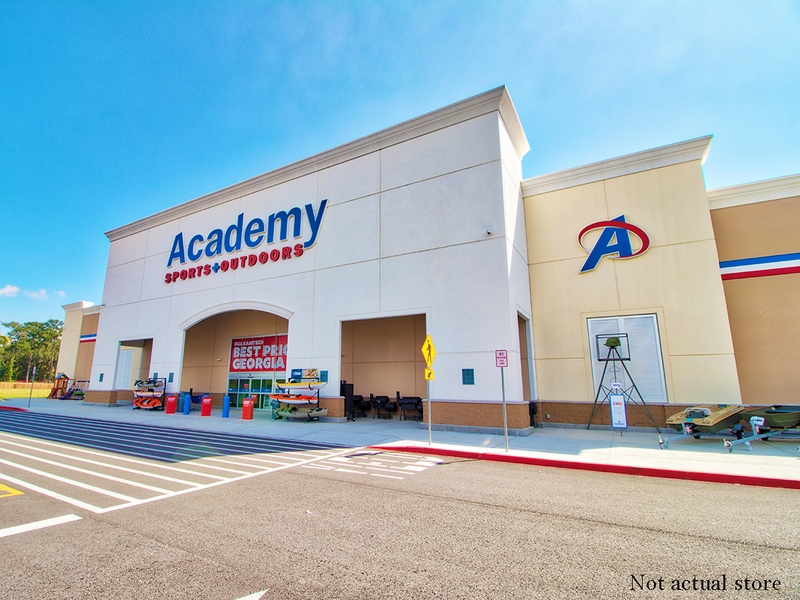 Academy Sports + Outdoors is a premier sports, outdoor and recreation lifestyle retailer with a unique assortment of quality hunting, fishing and camping equipment and gear along with sports and leisure products, footwear, apparel, patio sets, barbecue grills and much more. The $4.6 billion company operates over 220 stores throughout Alabama, Arkansas, Florida, Georgia, Indiana, Kansas, Kentucky, Louisiana, Mississippi, Missouri, North Carolina, Oklahoma, South Carolina, Tennessee and Texas, where the company is based.